Cathy and Karla met at work almost 20 years ago and have been married since January 5, 2015. They were the first couple in Florida to be legally married once the freedom to marry was secured in the Sunshine State. 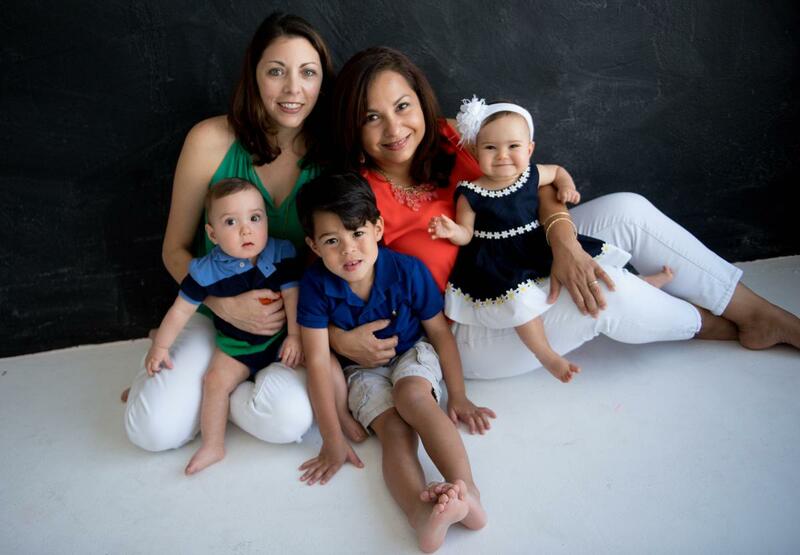 As a lesbian couple living in South Florida, they have been advocating for their family and for the rights of the LGBTQ community for many years. 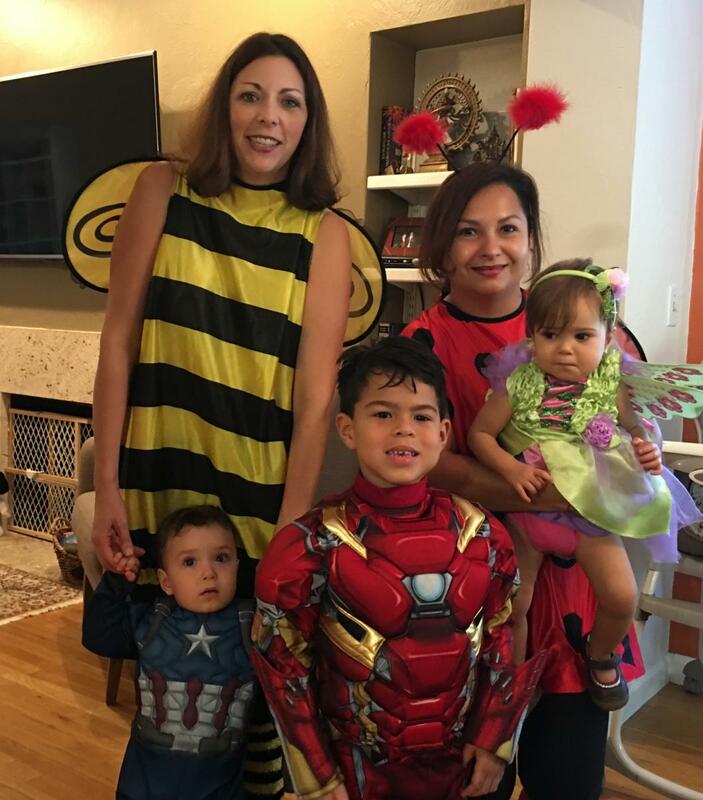 Cathy, a financial adviser and business owner, and Karla, a stay at home mom, are feeling very thankful this Thanksgiving for their loving family and wonderful friends. "We are truly happy and blessed" says Cathy. The couple celebrates Thanksgiving in South Florida with their children and extended family by having a traditional Thanksgiving feast and making Christmas ornaments. "Making Christmas ornaments has become a tradition for our family that everyone has come to enjoy and expect," says Karla. The couple lives in Miami-Dade county, a county that was first to secure marriage equality in Florida and has had basic protections for gay and transgender people on the books for nearly 20 years. Cathy and Karla feel so thankful to live in a city with these basic protections. "This is something that we don't take for granted" says Cathy. But unfortunately for many gay and transgender citizens, the protections afforded in Miami-Dade are not law throughout Florida. Today many LGBTQ people can be fired, denied housing, denied a job, and be denied services. In some cases couples or individuals can even be asked to leave public places and even businesses on the basis of who they are or who they love. “We feel for families who do not live in a county that has basic non-discrimination protections and we think it’s time that Florida updates the law to include our family and other members of the LGBTQ community" says Cathy. “As a family we worry and think twice before we travel to a county or state that does not have legal protections for our family,” says Karla. In many cases the couple travels with their children's birth certificates and marriage license in the event their parental rights are ever challenged or put into question. The couple worries that they may encounter a medical emergency and the staff at a hospital will challenge their ability to make medical decisions for their children, something they have experienced in the past. As a lesbian couple, they are only protected in a little over 50% of Florida. Florida’s non-discrimination law, which includes protections based on race, age, and nationality, currently leaves out LGBTQ people. Florida is one of 32 states that has no statewide law that bans discrimination towards LGBTQ people. That’s why as Karla and Cathy celebrate Thanksgiving with their 4 year old and 15 month old twins, and work to give them the happiest, safest, and most loving life they deserve - they are speaking out. As loving wives, together for nearly 20 years, as mothers, and as a family, they recognize that their marriage and family are protected in Miami-Dade, but that until we have statewide protections, families across Florida continue to be in danger of being discriminated against just because of who they are or who they love. For this Thanksgiving, Karla’s hope is that “our family - and all LGBTQ families - be treated just as any other family.” And the first step is protecting LGBTQ families from discrimination.